The price of commodities – from oil to natural gas, from minerals to agricultural raw materials – is an economic variable whose implications have always been fairly simple to understand. A price increase is generally a negative event for industrialized economies that are importing raw materials, such as Europe, Japan and the United States, while a falling price is a positive event. Times of low commodity prices have often coincided with phases of economic growth in industrialized countries. This was the case in the ‘60s and in the ‘90s. Also, the performance of financial markets has almost always gone in the opposite direction of commodities. This makes it hard to explain the current situation, characterized by collapsing commodity prices, weak economic growth and volatile financial markets, all at the same time. In a “simple world”, low commodity prices are an advantage for industrialized countries while high prices favour emerging countries, producing and exporting raw materials. The increase of oil prices during the ‘70s caused inflation and recession in Europe and the United States while oil producers were building a trade surplus and currency reserves. On the other end, in the late ‘80s and all of the ‘90s, the collapse of commodity prices contributed to a long period of economic growth in industrialized countries and caused serious problems for some oil producers, such as Mexico, Indonesia and Russia, and to some exporters of agricultural products, such as Brazil and Argentina. In today’s “complex world” with a high degree of economic interdependence, the impact of commodity price volatility is more difficult to predict than in the past. The collapse of commodity prices, which started more than four years ago after the peak of 2011, is still a source of instability for emerging countries but it also generates risks for Europe and the United States. This happens in various ways: a decrease of emerging country consumption, investments and imports, with negative impact on aggregate demand of industrialized countries; crowding out of investments in certain sectors in industrialized economies; risk of deflation and financial instability; social and political instability in emerging countries, with negative consequences for the rest of the world. The economies of many countries producing oil, gas and mineral raw materials face serious difficulties. Venezuela is close to bankruptcy, Russia has issues financing its public deficit, Brazil and South Africa are significantly challenged. The first consequence is a decrease of consumption and investments in these countries. This implies a declining import with negative impact on industrialized countries’ aggregate demand. Industrialized economies are negatively influenced also by a crowding out effect on certain sectors in industrialized economies. The oil market provides a good example. 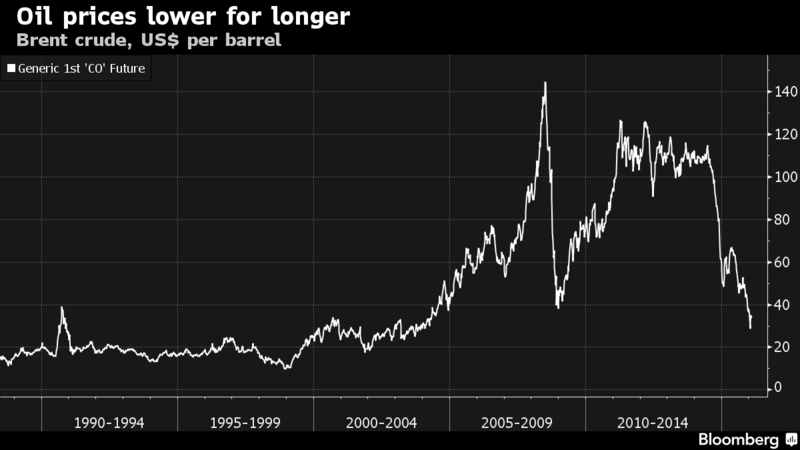 In the past two years, oil prices have gone from over 110 dollar a barrel to about 40. The significant price drop makes shale gas extractions in the US less competitive. Meanwhile, activities including the extraction, refining and treatment of raw materials, as well as the development of necessary technologies, are penalized, with negative implications for many American and European companies. Low oil prices are also a strong disincentive to any investment in the green economy. Similar implications are true in the agricultural sector. Energy and agriculture prices are historically not the primary focus of Central Banks. The reason is that - with the exception of the price of oil, which is typically transferred to gasoline prices at the pump station - their trends do not have a significant impact on the consumer price index, which measures inflation. Cost of labour, for example, is a much more important variable for inflation. However, today the big fear of the Fed and the ECB is deflation. Low commodity prices increase families’ and companies’ expectations for constant or declining prices, which triggers decisions to postpone consumption and investment. Another important aspect is the risk of financial instability that could follow to emerging countries’ economic difficulties, with inevitable negative international implications. A good example is Russia, where economic crisis and a weak ruble could overwhelm the already very fragile banking system. Price and financial market stability are two key objectives for Central Banks. In addition to economic risks, there are also political ones. In 2011 the peak of raw material prices, specifically agricultural ones, created the conditions necessary for the Arab Spring. The current level of commodity prices is drastically reducing revenues for certain countries and makes it challenging to maintain social consensus and political stability. Even big oil producers such as Saudi Arabia may soon have budget constraints despite the important reserves accrued in the past. In some countries, such as Nigeria, Algeria and most of the Middle East, the drop of oil revenue may jeopardize the ability to fight terrorism, with clear negative implications also for industrialized countries’ economies. Volatility in financial markets in the past few months reflects a high level of uncertainty in the global economy. The industrialized world is not completely out of the recession which began in 2008 and the current fragile growth is largely due to Central Banks’ expansionary monetary policy. China and other BRIC countries are slowing down. There is also a high degree of political uncertainty, including the future of the EU and the Euro zone, the outcome of the US presidential election, the overwhelming immigration flow towards Europe, the increasing instability in the Middle East and Islamic terrorism. In this complex framework, the collapse of commodity prices is not a clear advantage for industrialized countries as it would have been in the past, but rather a source of further risks and uncertainty.